When facing a potential separation or Raleigh divorce, getting started can be the most difficult part. At The Doyle Law Group P.A., we recognize how difficult taking this first step is, and we have developed a process to make learning about Raleigh divorce, making the first decisions and taking your first steps as easy and stress free as possible. An initial consultation is a place to tell your story, ask your questions, learn basic divorce law, and to be informed of your options. Knowledge truly is power. INFORM: We provide every Raleigh client the essential North Carolina Divorce Law in simple, straight forward terms.We do not believe in providing a client with a lot convoluted legalese that is neither practical or beneficial.Our goal is to inform and advise, not overwhelm and confuse. We cater our consultations to each client. 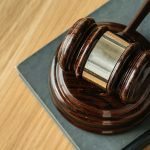 The level of detail and depth of our discussion of the law depends on our client, but rest assured you will come out of a Consult with our firm knowing what the law is, and how it is generally applied.Whether you face issues of Raleigh Child Custody, Child Support, Alimony, Property Division, Domestic Violence, or any other area of North Carolina Family Law, you will be prepared for the difficult road ahead. LISTEN TO YOU/OUR CLIENT: We LISTEN to our Raleigh Clients, and we learn what has happened, what is happening, and what our Clients want to happen in the future.In order for your concerns to become our concerns and your goals to become our goals, we have to listen and learn from you and avoid the temptation to do all the talking. We will help you consider and set goals that are aggressive yet still reasonable and attainable. We help you put together a clear and effective plan to achieve those goals.While we cannot promise to “win” every case or that all goals you set will be achieved, we can promise that we will make use of all of our considerable experience, skill and passion to help you meet and even exceed your goals. All of this starts with an initial consultation where we work hard to listen to you so that all your questions are answered to the best our ability and that you will be in a position to make sound judgments about what to do next. ADVISE OUR CLIENT: Once we have informed you of the basic Raleigh Family Law legal and practical issues you face, and after we have learned your own personal divorce story, we will provide you with the specific and straight forward LEGAL ADVICE you need.In other words, we offer you options, make suggestions, and share our views about possible outcomes. From simple and effective initial ways to protect yourself and your finances, to specific steps you should consider or take, we want you to know what you need to do to put yourself in the best position possible to be successful going forward. 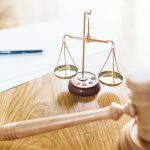 Whatever the case, you will know your options, the potential risks you face, what we suggest, the legal fees required for representation, and the time frames we recommend to take action, as well as potential risks (if any) of delay. You will not be pressured to hire our Raleigh Law firm in any way and are under no obligation whatsoever. You will just be armed with the knowledge to make the best decisions possible moving forward.